The latest installment in the award-winning Company of Heroes series is back with a new single-player only game through Company of Heroes 2 Ardennes Assault. The game is set in World War II’s Battle of the Bulge”, and players will take control of Allied forces with 3 Companies to choose from. 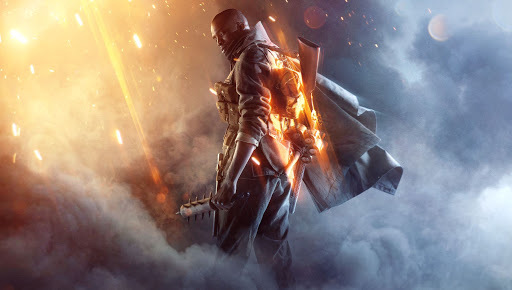 Each Company has different specializations, gameplay style, Officers, and abilities, among others. The game’s outcome will be unique from one player to another, and will depend on the choices the player made throughout the game. Each Company also has four unique abilities with up to 6 selectable upgrades. Company of Heroes 2 Ardennes Assault is available on digital download and can be activated and played on Steam. Our website lists our most trusted stores where you can buy the game’s activation key from, as well as the prices they offer. To start purchasing your CD key, simply visit the Company of Heroes 2 Ardennes Assault price comparison page on our website, select a store, or the price that’s most convenient for you, and click on the SHOP NOW button. You will then be redirected to your selected store’s website and you can continue your purchase from there. On the store’s website, you can now add your item to your Shopping Cart and proceed with your payment. Note that some websites may ask you to login to your online account on their site, or ask you to create a new account if you still don’t have one. Depending on the store you selected, your CD key will be delivered to your email address, or through your online account on their site. The time of delivery will also depend from one store to another. Some stores may ask you to create an account on their website. You can create an account on their website, if you still don’t have one. Once you’re on the game’s page on your selected store’s website, you can add your selected game in your cart and proceed with your payment. It’s as simple as pie! Payment methods differ from one store to another. Please check first if your selected payment method is available in the store’s website before deciding to make a purchase. Allkeyshop.com will not be liable for fees or refunds involved if you decide to cancel your purchase. Do not forget to check, double-check, and triple-check the time of delivery of your CD key, the game’s language/region/edition before making a purchase. The game’s complete information and description (language, region, edition) are readily available on the store’s website, thus Allkeyshop.com will not be liable for CD keys purchased by mistake, nor are we liable for any refunds. . In case you made a purchase in error, please contact the store directly. There will also be instances when the store you selected will ask you to verify your identity on the time of your first purchase. This is done only for security measures, so you need not be afraid. They will sometimes ask you to take a photo of yourself holding you ID card, for example. You can opt to hide the numbers on your card, or any information you do not wish to share with them. You can leave your name and your photo visible instead. Every seller proposes their own time of delivery. Some stores deliver immediately after purchase (Kinguin, G2A, etc. ), while others take a longer time (ex: Cdkeypascher). In cases when your CD key has not arrived yet, please contact the store directly. Also take into account that pre-order games are only sent a few hours before the release date of the game, so do not panic :). *Payment Fees – You can now see how much in total you would need to pay by including or excluding payment fees (PayPal Fees, Credit/Debit Card Fees). Simply choose one from the Payment Fees filter (see screenshot below). *Price Alert – If you wish to receive alerts when prices change on COMPANY OF HEROES 2 ARDENNES ASSAULT and purchase the game at the best price, all you need to do is enter your email address, choose the price you are expecting, and the period you want to receive the notifications. Nice guide from allkeyshop ad make it easy. Thank you for this guide! !